It was (is) pretty. I did not really like it. In my rush to get a jillion projects finished I ignored my intuition. My "you won't like if if you do it that way" intuition. Note to self. Stop rushing. After I cut the letters out, I realized that I had not made them different sizes like the inspiration piece had. I thought "oh well, it will be OK like this. And it was. Just OK. There were a few other things that I didn't like about it. I didn't like how the letters faded into the pastel background. I didn't like how the very pretty, but very bright 4th strip is what pulled your attention, rather than the letters themselves. So - since it was a virtually free project and I had lots more materials, I did it again. This time I did it like I should have done it the first time. My inspiration was this painting by Ashley Kossick. I went to get the other nasty oil painting that I used for the canvas last time, and realized it would be perfect for another project I wanted to do - one that requires an oil painting with lots of texture - so I went searching for something in my stashes that would serve the same purpose. 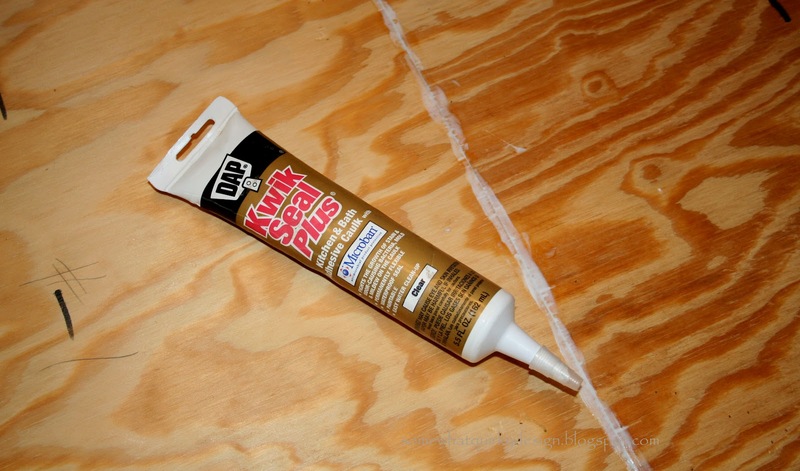 I used an adhesive caulk to fill in the line where they connected because the edges of the plywood were not an exact fit. Then I did exactly what I did last time with a few changes. Used 7 different patterns of paper instead of 6. This made the transition between colors asymmetrical and more pleasing to the eye. 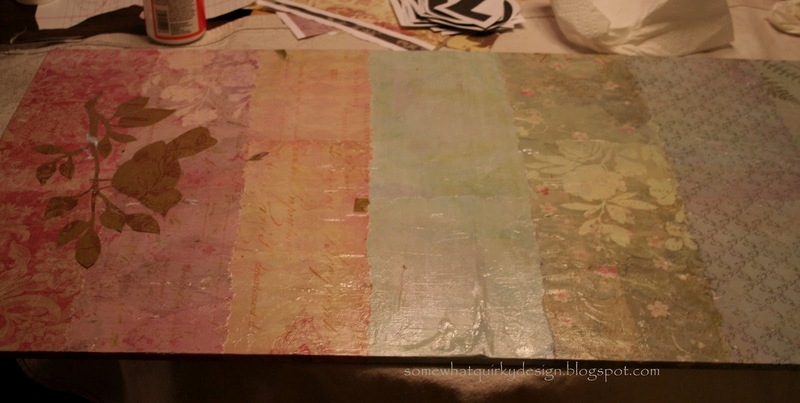 I did not use the very pretty, but very bright paper that stole the eye in the first piece. Much better. Can you see the difference? What do you think? Does it look better to you? I know that some of you have limited time. Some of you are reeeaaaaally impatient. My simple advise is take the extra 10-20 minutes that it might take to make your project look like you want it to. Think about what you are doing and trust your instincts. Yes, I can tell the difference and you did a great job. I agree, this time the colors blend from one to the other w/o drawing your attention to just one color, and the lettering is better also. You did good. Gasp! It is beautiful. Love it! Oh wow I love what you did! It's a beautiful piece!!! I know what you mean about sometimes rushing to just get things done, even though you know you should slow down and take your time because it will come out better that way... we all do it sometimes! But your finished piece is BEAUTIFUL! Thanks for sharing! I do see the difference but I love them both! 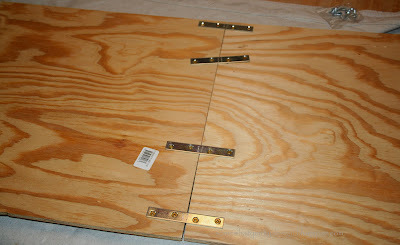 I want to try this project and will heed your advice to "be patient" (not my strongest quality). 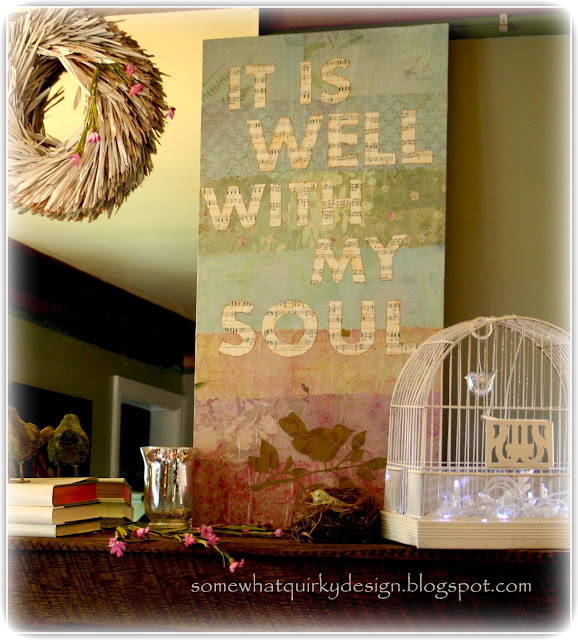 Every day, I need to be reminded that "it is well with my soul". This is so great! I love everything about it. Visiting from It's Overflowing! This is so Pretty!! I really like hte upgrade you did on the letter. I am racking my brain right now for where I could put something like this. I am going to Pin and think! Thank you for the inspiration. - you just earned a new follower! Love it! The newest version is just gorgeous (of course, the first version was great, too!). I totally know what you mean about that "intuition". Sometime impatience just gets the best of us. Great job!! Visiting from the Serendipity & Spice party. Looks great! I get in a rush sometimes too and have to do things over as well. It's worth it though. Love how your sign turned out! Love it! What a great message to put in your home. I'll have to do it soon too. LOVE. IT. 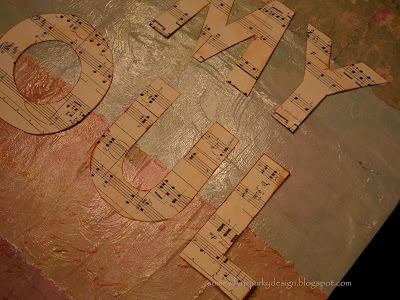 Everything about it - the colors, the gorgeous musical letters, the lovely quote. Amazing work, and such a statement piece!! Thank you for the inspiration. Lovely, very very lovely and love your staging. I really love it all, the colors musical letters and the very lovely quote. Thanks for sharing your creative inspiration at Sunday's Best. PS - following you on Linky too! I love this! I'm always looking for stuff I can make that does not involve sewing. I can cut and glue. Yes, I can tell the difference. The final result looks great! I always get impatient when I'm nearing the end of a project too. I've decided that I need to stick to projects that can be completed in under an hour. Wow what a wonderful difference. You did an awesome job. Thank you for this wonderful post! I would love it if you would share this at our What’s It Wednesday blog party. Hope to see you there. Wow, these look great. I would love for you to stop by My Dream Canvas. Wow, I liked the first one, but I love the second one and totally get all your changes. Isn't it amazing how attention to those details can make an okay project amazing? Thanks for linking up! Featured your sign on this weeks Show Off Saturday! Thanks for linking up! I love this! Really, really great artwork! That is GORGEOUS and that is one of my favorite hymns. I hope you'll come share this at Knick of Time Tuesday - the party opens on Monday evening. I am SO excited about this project!! 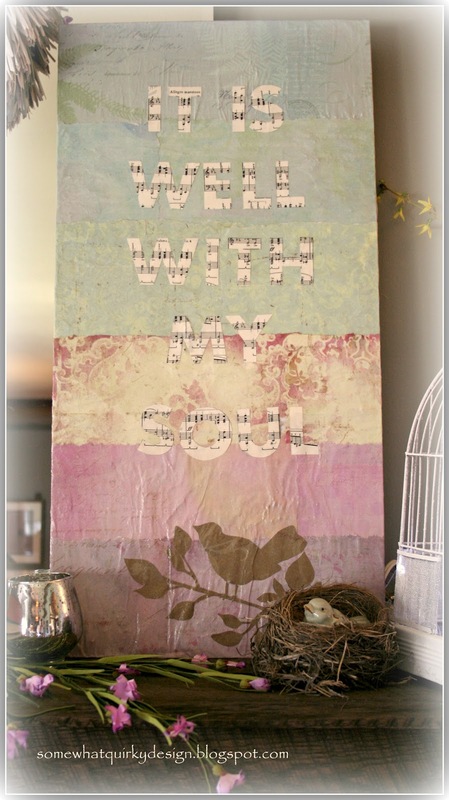 I love that hymn and my anniversary is coming up in June (never know what to get the hubby!) 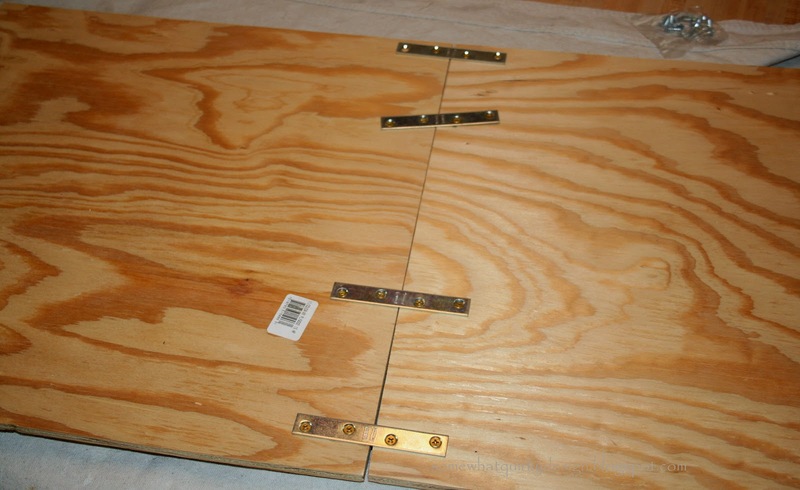 so I will make this for his office (he's a pastor) using old fence boards I just scored for free. Thanks so much for inspiring me -- this is just beautiful and I can't wait to try it. I'll be sure to link back to you when I post mine! thanks for linking up and have a happy easter! 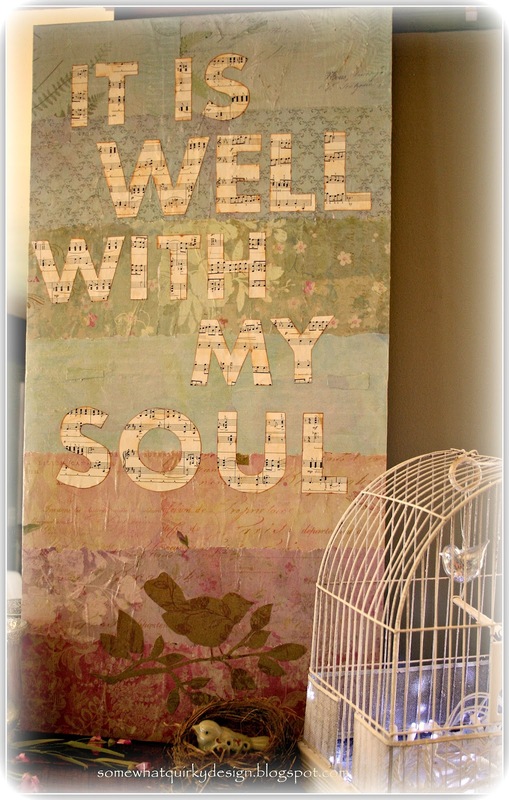 Featuring your "All is well with my soul" tomorrow night at Project Queen's Highlight Party. Thank you so much for linking up! It's amazing!! Oh, so much better! 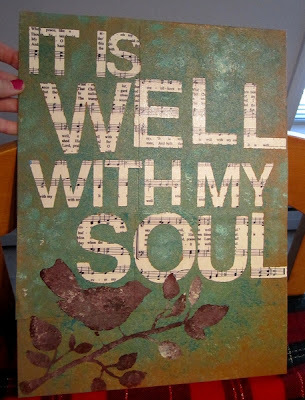 Love your sign as well as the hymn it's from. 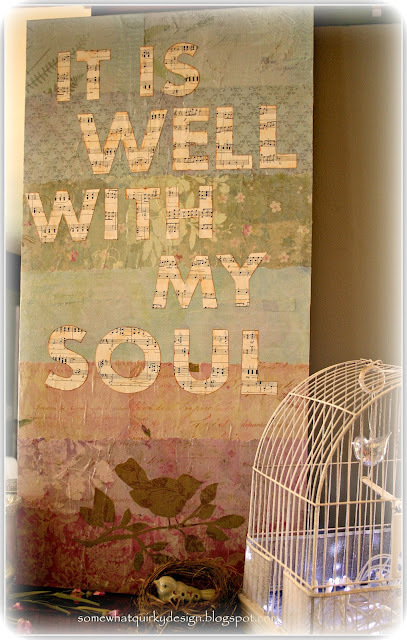 One of my favorite songs of all time... Love how you display this... gorgeous! Just found you through the vintage linky at Knick of Time... Happy to be following along! Yes I can tell the difference too! Love the redone sign and of course the message! BIG difference . Well worth the efoort of redoing it. I'm going to try this so I am glad you gave these tips for what not to do. Beautiful piece! I think it turned out fabulous! I agree with you.. it never fails me when I rush through something, it doesn't come out the way I want it to. It sure is best to just take our time:D Thanks for sharing! Love both,but yes your second a definte Best. Also love the wreath to the side...curious handmade? I LOVE it ... great job. I hope to copy you. love it! keep up the good job! This is great! Thanks for linking up at Tips and Tricks! hope you come next week with a pumpkin recipe! I'm so glad you linked up this project to Tips & Tricks last week... it was a popular pin on Pinterest.... and we've featured it as one of the two most pinned posts linked up. Thank you so much for sharing it with us. 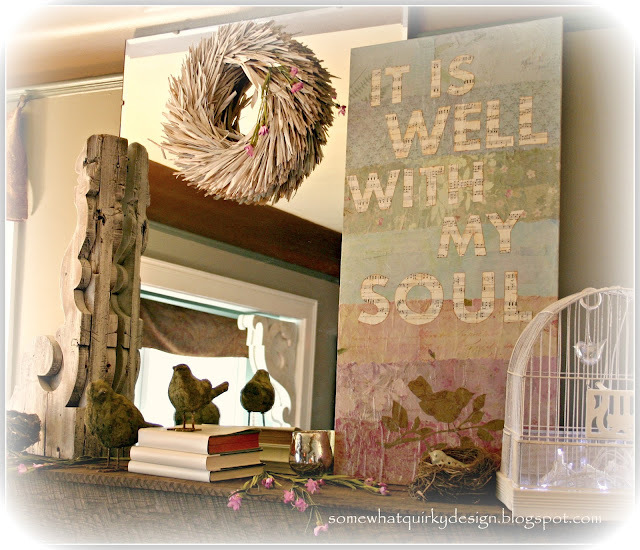 I'm loving your blog, and am so happy I found it! Hope your Monday was great! This is gorgeous. It touches my soul. Moves my heart.